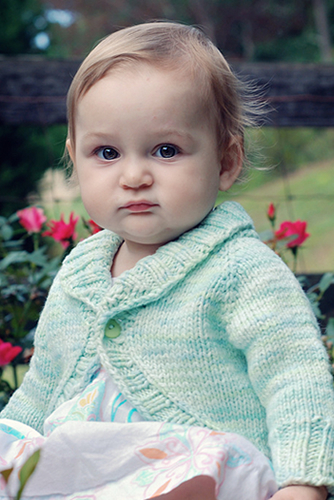 Perfect for a day picking flowers in a field, or playing in the leaves, this sweet little bolero will keep the child in your life warm and snug. Top-down construction means no bulky sleeve seems for quick knitting, minimal finishing and a comfortable fit. Extra long ribbed cufs, and a shawled collar keep your bitty one cozy, while adding a bit of modern style to a classic silhouette.